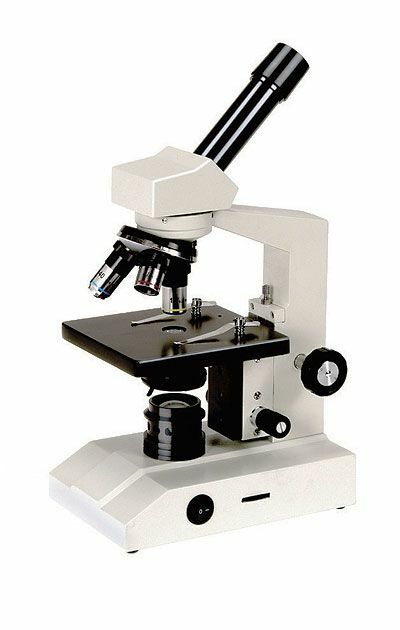 Ideal for GCSE biology studies at all levels, this new series of cordless microscopes incorporates innovative LED illumination technology into a proven microscope design, which features all the essential ‘Anti-Tamper’ features demanded by heavy school use. The microscope features a powerful rechargeable battery, located in the base, which is charged in situ with the mains power supply supplied. Charging time is typically 5-6 hours and when fully charged, the continuous discharge time is more than 50 hours. Under normal use, the LED bulb can last for more than 10,000 hours. The level of illumination is suitable even for high-power oil immersion work at x1000.